I enjoy your posts so much, and am so grateful to you and the BCHF for all you do. These words and images do not magically fall on paper. What is the present-day name of Lion’s Creek? Do you know how it got its name? 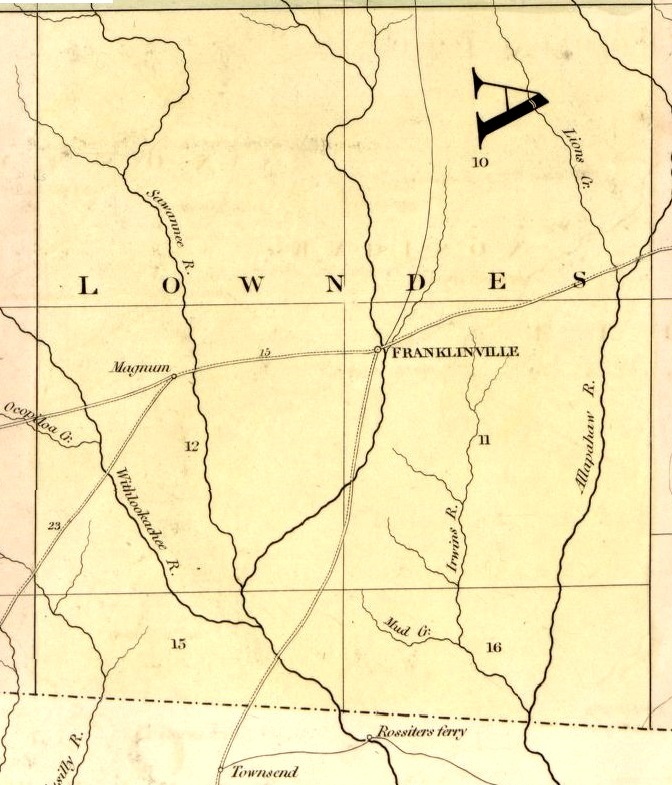 Between the 1839 map above and the J. H. Colton Map of Geogia, 1855 which shows the Flat Creek community situated on Lyons Creek, a tributary of the Alapaha River, I think there is little doubt that Lions creek is now known as Ten Mile Creek. I haven’t come across any specific origins of that name. The incident of the Berrien County “Tiger” occurred in the same vicinity in 1849, too late to have orginated the name. But that whole area of Ten Mile Creek was (and probably still is!) a perfect den for “lions” aka mountain lions, cougars, panthers, pumas, etc., which incidentally happens to be the widest ranging mammal of the western hemisphere.